"Woodland started working with putting guru Phil Kenyon at the Open Championship and has been raving about the impact it's had on his game." 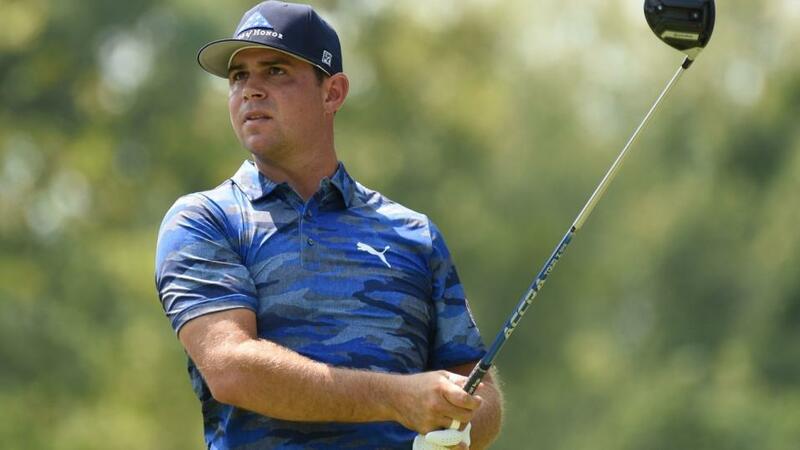 In a week where motivation levels are hard to assess and new clubs are possibly being trialled, I'm certainly happy to throw a dart at Gary Woodland. It's quite a considered dart to be honest even though it's his course debut and he's joint-16th out of 18 in the betting. If starting a check-list, Woodland is a winner in Florida and Phoenix (this year) and Albany has Bermuda greens as did the putting surfaces at those two tournaments. And you'll also find Bermuda at the Sony Open - like Albany, another coastal track - where Woodland has gone 7-6-13-3 in his last four visits. There are five par 5s to go at this week and Woodland would expect to make hay on those. Already in this current campaign he's -33 for the long holes (T9) while last year he was -128 (T7) on the par 5s. Woodland, who was T6 at the US PGA, has played some excellent golf over the final few months with a run of five top 12 finishes from the BMW Championship to the Shriners Hospitals for Children Open in Las Vegas. It included second place at the CJ Cup in Korea where he closed with 63, a round he repeated in Vegas when T10. He took a little step back with T41 at the Mayakoba but he opened and closed with 65s so there were positives there too. Woodland started working with putting guru Phil Kenyon at the Open Championship and has been raving about the impact it's had on his game. At the Tour Championship, he gushed: "It's just been a process. And the last piece of that puzzle was at the BMW with the setup. And it's just coming together. I feel as good standing over the putter as I ever have. Even the putts I don't make, I'm giving myself chances, which is awesome. "The ball-striking wasn't great at the BMW, but I was positive strokes gained putting in all four rounds. That might have been the first time I've done that all year. "It's been kind of my Achilles' heel for a long time, and now it's starting to feel like a strength of mine, and that's pretty exciting for not only right now but going forward, as well." Feeling fresher at this time of the year than he usually does due to some breaks over the summer, Woodland can make a big mark this week and defy his place in the betting. The brain takes a little adjusting this week to take in six players priced up at 10/1 or lower. That's an 18-man field for you and, if you landed on the right one, any of the half-dozen would seem an okay price apart from Rickie Fowler maybe. Even then, Fowler is the defending champion so has strong claims and I'd be happy to pull the trigger on a successful retention at a bigger price but I can't do it at just 15/2. Tiger Woods looked rusty in his showdown with Phil Mickelson and has bigger fish to fry in 2019 while I can't quite work up enough enthusiasm for Justin Rose (5-WD-13) and Justin Thomas (11) as the prices of 15/2 and 9/1 don't stand out if using course form as a measure. Thomas has admitted struggling around these greens and Rose has talked of being distracted a little as he has a family base here and lots of friends to entertain. Dustin Johnson? He's not been convincing me for a while. Bryson DeChambeau is a regular visitor though and on pure numbers - three wins in his last five starts - is definitely a possible at 10/1 for his tournament debut at this course. But I'll jump down to 22/1 for my second bet and play and watch Patrick Cantlay. We last saw him on Tour finishing runner-up in defence of his Shriners Hospitals for Children Open title when shooting 63-65 on the weekend. Prior to that he was T7 at the WGC-HSBC Champions and his results over the last six months are littered with top 10s and top 20s. That includes T8 at The Northern Trust, T6 at the WGC-Bridgestone and T4 at Memorial so he's done it against the very top names. Despite being a California boy, he shows up strongly on these putting surfaces, ranking 15th on Future of Fantasy's Top Performers on Bermudagrass Greens. So, as with Woodland, despite being a first-timer at Albany, the elements look in place for him to show up strongly. Take the 22/1. There's a theory in golf betting that the only time you ever back Bubba Watson is on courses where he thrives. There's a shortlist. Augusta National (two wins) is one, TPC River Highlands (three wins) is another and so is Riviera (three wins). On that basis, we have to look closely at him here as he's posted a victory at Albany on debut in 2015 and also finished T6 on his last visits two years ago. He shot a round of 63 each time. The waters are muddied by Bubba saying he doesn't think the course suits him. Speaking in 2016, he said: "When I played the pro-am last year, it was the first time I saw the course and I looked at Teddy and I said, I can't play here. I mean, it's too windy, the greens are really small." However, I'd rather focus on bare results than what comes out of Bubba's mouth and perhaps the very fact that he's playing here is a hint after he skipped last year. Watson hasn't done an awful lot since winning the Travelers in June although he did post T7 in the Dell Technologies and T16 at the BMW Championship. Like most of the U.S. team, the Ryder Cup was a bit of a write-off although Watson did at least win a match after which partner Webb Simpson said: "When you're playing with him, he keeps hitting every shot flush, makes it easy for me." Albany is a long course with five par 5s. It would almost be weird if Watson didn't play well on it. His concern about small greens doesn't make much sense either. They're small at Riviera where he's won twice. One thing he did admit when returning to defend was this: "A beautiful place here. My family loves coming here." A suitability for the course that he doesn't quite realise and knowing his family are having fun is a good recipe for the mercurial left-hander. Give Watson a whirl at 22/1.